The guitar has been played in Estonia at least since 19th century and since the sixties of the 20th century there has been an ever-increasing interest toward the classical guitar. The first guitar piece by a professional composer was the Sonatina for guitar and alto flute by Alo Põldmäe (1975) but the first piece for the guitar solo was Lembit Veevo’s Ekspromt which wasn’t recorded until now. 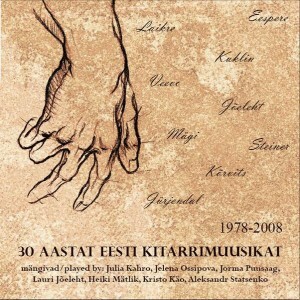 Veevo and Mägi present the older generation of composers on this disc and the rest is a choice of the fresh Estonian guitar music from the last decade. 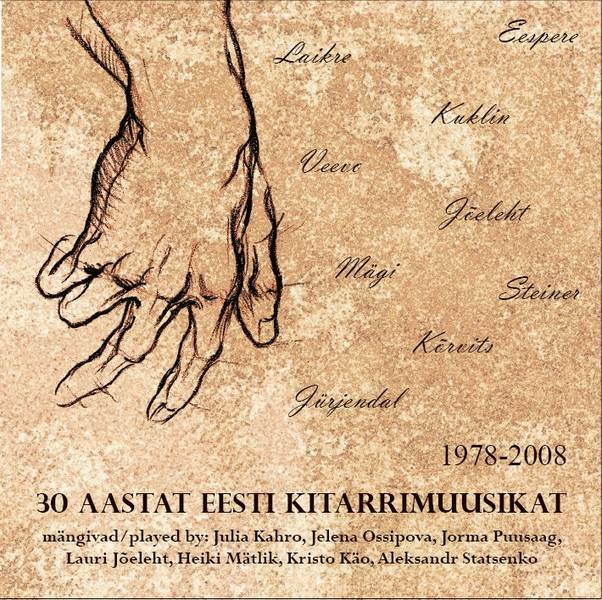 Recorded and edited by Maido Maadik (2-6), Tanel Klesment (1, 7), Aili Jõeleht (8, 10) (Estonian Public Broadcast) and Margo Kõlar (11, Estonian Academy of Music and Theatre), mastered by Koit Pärna.